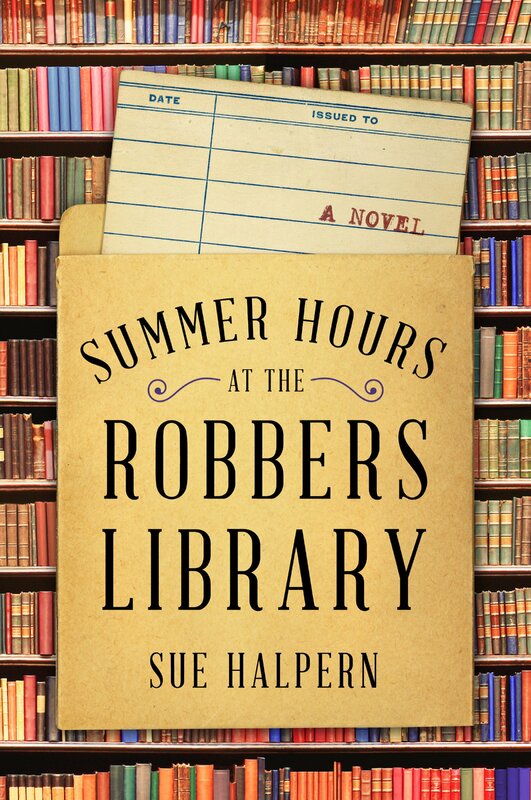 Summer Hours at the Robbers Library, set at a quiet New England town, is a fairly derivative work that fails to rise above long-established industry plot scaffolding. Its writing style isn’t completely stale, but it doesn’t surprise or soar. As an overall work it’s completely non-offensive and unremarkable, and while there are bits of potential sprinkled throughout, the finished product does not break any status quo. 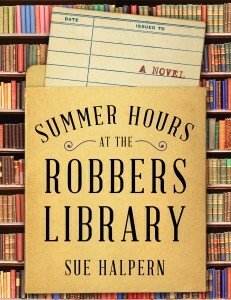 This is Sue Halpern’s seventh book, and it seems she’s started to coast along in her career, so this novel will suit your needs if you don’t like to be surprised or challenged. Summer Hours is the story of middle-aged Kit, an emotionally crippled librarian who has fled to an uneventful New Hampshire town after her marriage crumbles. She’s deliberately built a wall between herself and all others, to coast through the remainder of her days with not a whole lot of feeling. The tale of her disastrous, cringeworthy marriage is presented via first person installments. They make up the more engaging portions of the novel because they are the only accounts worthy of actual sympathy from the reader. Kit got engaged during college to a promising medical student in an abrupt and curt ordeal. It gradually becomes clear, with excruciating detail, that he regards her as a possession to hold for the sake of having a wife, to satisfy society’s “normal” template, rather than to share a meaningful and mutually beneficial bond. While the buildup is great, the event that finally opens the lid of marital chaos swoops in like a disaster-ex-machina, rather than the incremental product of a poisonous partnership that would have been more narratively satisfying. In the present, enter fifteen-year-old Sunny, the sole child in a family of homeschooling wilderness-roamers, who is sentenced to twelve weeks of community service at Kit’s library (the logical penalty for stealing a dictionary from a bookstore). The plot setup is instantly and disappointingly obvious. Will Sunny’s youthful, free spirited ways awaken the joy for life that has laid dormant within Kit’s soul for so long? As Sunny’s parents are gradually shown to be well-meaning but ultimately irresponsible caretakers, has Kit stumbled upon the opportunity for maternal purpose that her childless marriage never afforded? If this sounds familiar, it’s territory already tread extensively and more elegantly in Manchester by the Sea (a damaged, withdrawn adult gets a second chance at a meaningful guardianship) and Captain Fantastic (the ethics of a free-spirited live-off-the-grid family is called into question). Not to mention that January’s novel The Library at the Edge of the World recently scooped the tale of a middle aged woman whose marriage collapses and whose library of employment is in jeopardy of closing due to financial cutbacks. That Summer Hours has very little inventive contributions to the storytelling medium should go without saying. The chapter structure is distracting and uneven. Third person chapters are the default mode of advancing the story. Many are bookended by a potpourri selection of literature quotes intended to do some of the thematic heavily lifting, but they become tiresome and skippable. Then there’s the aforementioned first person account of Kit’s doomed marriage. Oddly, despite their frequency, each section is afforded a full page break that reads “The Marriage Story, Part __”. It’s an awful lot of fanfare for what is really just a straightforward thread throughout the narrative. Meanwhile, there are Sunny’s own first person chapters, which are integrated among the third person portions, but are titled with the template “Sunny | [insert dictionary word here],” as if we might not be able to tell it was Sunny’s chapter otherwise. It all makes for a presentation that is jumbled and distracting. For that matter, there’s a spattering of literature meta-jokes that further chip away at any sense of legitimacy. Kit ponders whether reading a book is worthwhile if the characters are unlikable. Her therapist insists that stories aren’t just in books and movies, that drama happens in “real life,” too. (Sigh.) One might concede that such nods are unavoidable in a story centered around a library, but they don’t shine especially when surrounded by unnecessary Hallmark Channel truisms, including one stating that when you enter a library, you meet all sorts of people. Plus, in the couple of moments where the origins of the titular library’s name is explained, the characters might as well have stopped what they were doing, winked at the camera and given a thumbs up. A bit too far into the novel Halpern introduces Rusty, a finance analyst whose career has collapsed, now searching for his deceased mother’s potential fortune left in a bank that may or may not exist in the area. The bank sum is just a MacGuffin to get the characters up and moving, hopefully as a catalyst to crack Kit out of her deep emotional shell. Yet well into the final quarter of the book, Kit’s still making blanket statements that she relies on herself alone, and that looking on the bright side is not her strong suit. Her persisting stasis is certainly the biggest frustration of Summer Hours. Since her spiral into the depths of sadness far outshines the account of its aftermath, when we meet Kit it feels as if her fate is already sealed. There’s no invitation for us to share in any meaningful journey.